2019 Dodge Challenger: SRT Hellcat Redeye specs indicate it’s really the beast! 2019 Dodge Challenger: SRT Hellcat Redeye specs indicate it’s really the beast! Home NEWS Autos 2019 Dodge Challenger: SRT Hellcat Redeye specs indicate it’s really the beast! Dodge on Thursday pronounced the Demon dead in its Challenger ranking by unveiling the revised 2019 Challenger lineup: the SRT Hellcat Redeye. But that’s not the situation in its entirety. The SRT Hellcat Redeye is simply a reincarnation of the 797-horsepower Demon, remarkably more thrilling with significant improvements but the sad side? It comes with a prohibitive price tag. We can say that the SRT Demon owners are still having something special considering some of the features not included in the 2019 Dodge Challenger despite the two models riding the same platform. While the SRT Demon is taking the backseat for the all-new 2019 SRT Hellcat Redeye, influence from the drag strip hero will be felt in subsequent Challenger lineups for a while. The 2019 SRT Hellcat Redeye which inherited the Hellcat badges comes with a supercharged 6.2-liter V8 engine that delivers 797 hp (594 kilowatts) and 707 lb-feet (958 Newton-meters) of torque. That yields an amazing top speed of 203 mph, acceleration from 0 to 60 mph in 3.4 seconds and 131 mph in 10.8 or 11.1 seconds on a quarter-mile ET for wide and narrow body option respectively. 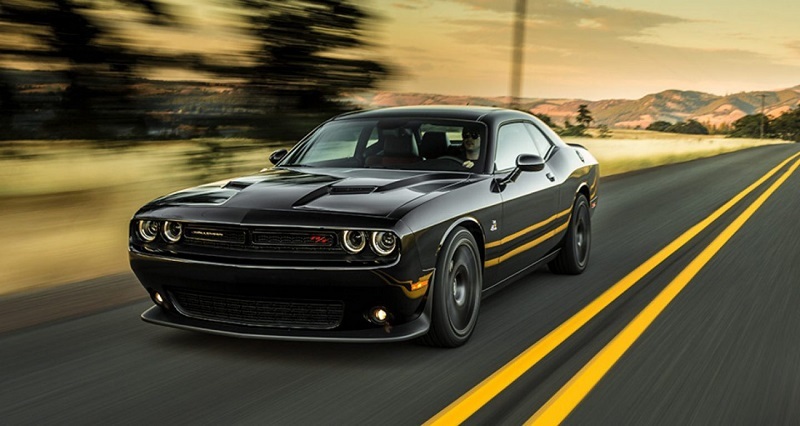 The regular Hellcat has more power to deliver. The 2019 Challenger is dialed up to offer between 717 horsepower and 656 pound-feet of torque from the same supercharged V8 6.2-litre engine which previously delivers 707hp and 650 lb-ft and 10.9 or 11.2 seconds to run the quarter-mile. Aside from the boosted drivetrain, the 2019 Dodge Challenger design inherited more features from the 1960s and ‘70s than the Demon which is significant in all Challenger lineups. Fans can easily recognize the prominent retro dual-snorkel hood which maximizes air flow through the engine and full functionality. The new Hellcat Redeye is also coming with the Demon’s electronic wizardry featuring Launch Assist, Launch Control, Torque Reserve, and Line Lock. It also has a rear spoiler from the Demon with an SRT-tuned chassis that offers more rigid front springs, bigger bend bars, and retuned shock absorbers. Unlike the old model, Redeye prefills the supercharger by closing a bypass valve. It manages fuel flow better and balances the engine’s rpm and torque with spark advance. This generates a reserve of torque which is delivered when acceleration from standing stops. The Demon’s 18-inch wheels wrapped in 315/40 tires are not found in the 2019 Dodge Challenger – featuring 20-inch wheels with 305/35 drag radials. The 14.2-inch Demon smaller and lighter front brakes for tracking duty is replaced with 15.4-inch stoppers in the SRT Hellcat Redeye sports. While the improvements are appealing, the 2019 Dodge Challenger pricing starts from $69,650, that’s an aggressive budget. Additionally, the purchase requires a $1,770 tax for gas guzzler (GTT), making the SRT Hellcat Redeye pricing to hang at $71,350, with shipping not included. The 2019 Dodge Challenger release date will be this fall.